If you’ve expected to address an audience that you aren’t familiar with, it can be difficult to connect with your audience and build a rapport. Ask the organizer for the names of a half dozen people who will be in the audience. Contact them and find out about their backgrounds and their expectations for your presentation. Thank them when you start your speech. Doing this homework, identifying the specific requirements, and customizing your presentations will impress the audience. Whatever the topic, audiences respond best when speakers personalize their communication. The media’s excessive loathing of jargon and buzzwords is somewhat unjustified. Yes, business communication is inundated with clichéd catchphrases with murky meanings that add no real linguistic efficiency. People tend to use such language merely to sound intelligent and important. Why not? It’s all part of “locker-room chat.” It’s only human nature to pattern our language (and behavior) to prove that we are “in the loop.” If others are looking smart or fashionable from using specific slang and buzzwords, we will feel enticed enough to belong to that clique. Jargon and buzzwords may be annoyances, but crisp communication often needs the use of the appropriate vernacular. Every industry, profession, company, and team has a lingua franca that’s full of well-recognized acronyms, phrases, and lingo for concepts and ideas. Ordinary words do not lend such efficiency. Remember, effective communication isn’t about demonstrating your fancy vocabulary or rosy language. It’s about communicating your message in the best way possible to the audience that you’re targeting. Have you ever left a conversation or a meeting and felt that you weren’t heard—let alone understood? Do you tend to get blank stares from people as you are talking with them, as if you are speaking a foreign tongue? Here are things you can do to help people understand you. Get your thinking straight. Cluttered thoughts nurture confusing communication. Think of the best ways to convey your message to the audience that you’re targeting. Prepare. Organize. Practice. Keep your messages succinct and simple. The more words you use to make a point, the more confusing the point can be. Get to the point quickly and don’t beat around the bush. Be concise without being boring or terse. Keep your communications focused. Prepare your message. Stick to your objective. Get rid of anything unrelated or irrelevant to your objective. Master the vernacular. Speak the same language of the industry, company, and team. Insider-lingo not only promotes a sense of belonging to the “crowd,” but can also help to get your concepts across more clearly. Speak their language. 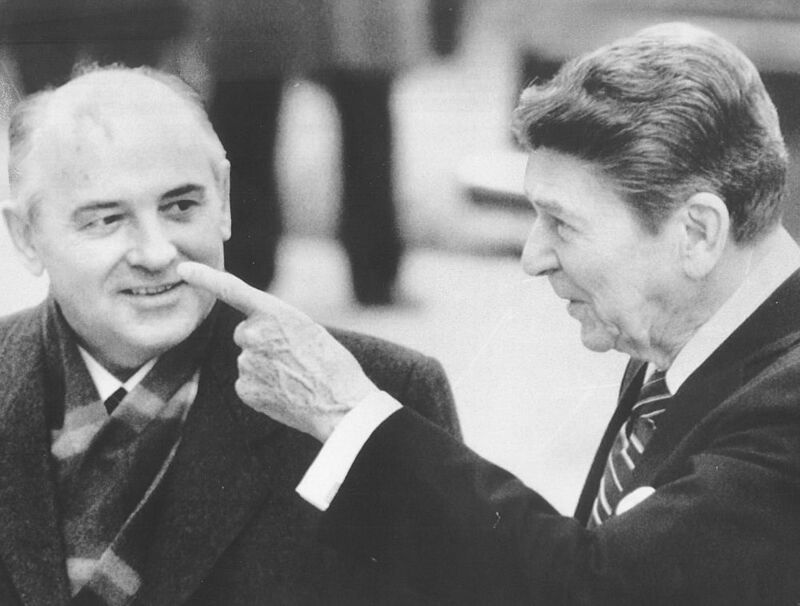 If you have a chance, listen to comparable meetings and observe how folks communicate. What are their hot buttons? What interests them? What are their objectives? What is their line of questioning? Try to adapt your arguments by aligning up your points with things they care about: their hot buttons and their pet topics. Customize the communication. Some people are visual learners, others respond best to arguments in long-winded, written form. Some like analogies better; others prefer concepts discussed directly. Determine how the people you are communicating with operate—you may have to present your data and information in a variety of formats. Other times people like to hear stories, so tell your information in a story format. Bring some props, prototypes, and samples. Don’t broach details straight away. Avoid being too technical or precise unless the audience is geared up. Start with broad strokes to see if your audience understands you. Only when they are following you, introduce the complexity and detail. Portray yourself as a knowledgeable professional. Avoid stating fact with qualifiers like “I think” or “in my opinion.” Avoid slang and filler words such as “uh,” “uhm,” “like,” and “you know”—excessive use of filler words tends to make you seem mumbling, hesitant, and unintelligent. Disagree tactfully. Think before you voice your own opinion: Will you be able to justify it? When preparing for the conversation, list all your arguments and ask a likely challenger to lay out the possible counterarguments. Try to incorporate those contentions into your arguments. Don’t try excessively to get them to see your point of view. Don’t persist too hard to get them to understand you. Know how hard to push your point and when to back off. Get feedback. After the meeting, don’t hesitate to ask a sympathetic member of the audience how you did. What did the audience get from the conversation? How could they better understand you in the future? By asking these questions, you will have a much better chance of connecting with them in the future. Plus, by asking the questions you have shown to them that you care about them understanding. And that helps build the relationships. 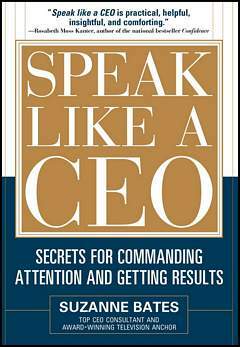 Idea for Impact: Good speaking isn’t about demonstrating your vocabulary, intelligence, or talent. It’s about communicating your message effectively. 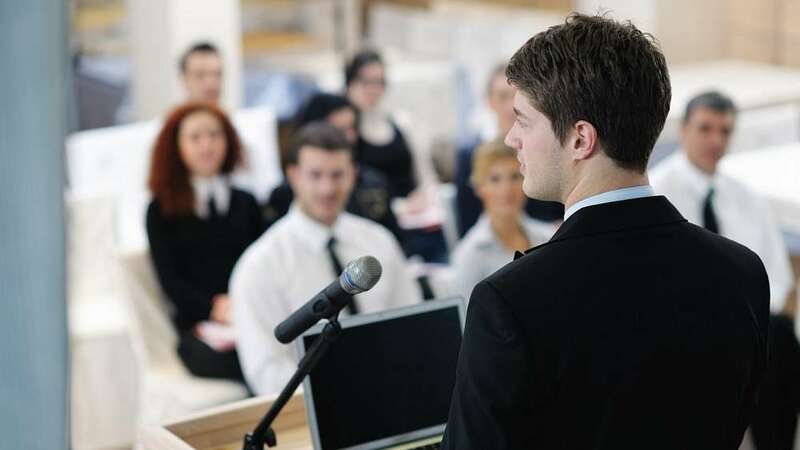 Standing behind a lectern while presenting can make you seem stiff, unemotional, and disconnected. A lectern creates a barrier between you and your audience—it not only blocks out two-thirds of your body, but also restricts your natural hand gestures. The lectern may even entice you to lean on or hold it, making you look tense and uneasy. By walking around the room and getting closer to your audience, you establish a bigger presence in the room and are harder to ignore. You encourage your audience to move their heads and eyes to follow you around the room, so they’re less likely to doze off during your presentation. Your watchful eyes may also prevent them from using their tablets and phones. Walking about can make your presentation appear like a natural conversation and thus help you overcome any public speaking anxiety. You can also better gauge your audience’s reactions. Move around naturally. Mix it up to avoid looking nervous. Don’t always walk from the front to the back or from side to side. Make your movements look relaxed and confident. Do not tap your foot, rock, sway, swing, or dance on the spot. Don’t try anything over-the-top, dramatic, or flashy. Keep an open posture at all times; avoid crossing your arms or creating a symbolic barrier between you and the audience. Use hand gestures selectively for emphasis—do not gesture so much that your body language poses a distraction. Stop moving and pause briefly after making each important point. As I mentioned in a previous article, pauses can help you emphasize your message and gather your next thoughts. In addition, the audience gets a chance to absorb your point. When responding to a question, move closer to the person who asked the question. Idea for Impact: When presenting, walk around the room naturally and interact with your audience. Moving around the room not only helps you keep eye contact with the audience, but also emphasizes an air of confidence, openness, and authority. You’ll also look more conversational, interesting, and memorable. If you have a brilliant idea at work, the modern workplace demands that you distill your ideas into a killer PowerPoint presentation to enlighten, entertain (with animations and special effects,) and convince your audience. Instead of PowerPoint presentations, Amazon uses a narrative format called the ‘Mock Press Release.’ According to this disciplined approach, for every new feature, product, or service that employees intend to pitch within their divisions, they must produce a press release-style document wherein a hypothetical Amazon customer would first learn about the feature. 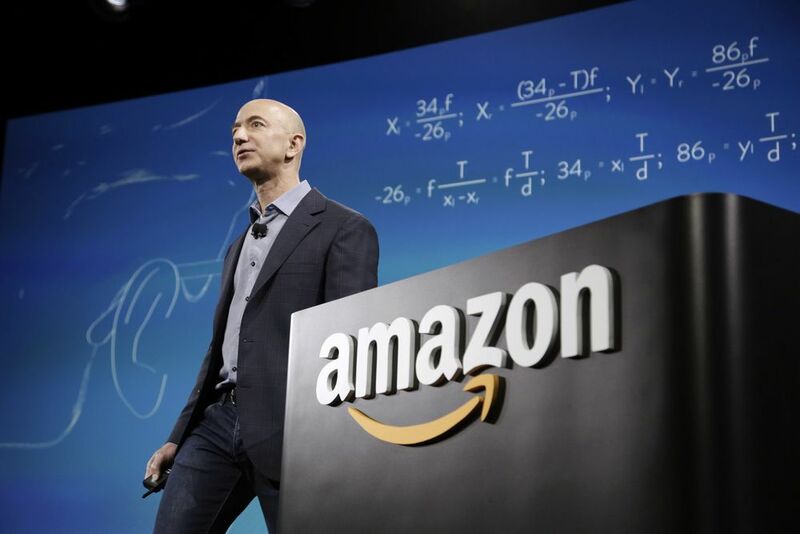 Bezos announced that employees could no longer use such corporate crutches and would have to write their presentations in prose, in what he called narratives. … He wanted people thinking deeply and taking the time to express their thoughts cogently. Bezos refined the formula even further. Every time a new feature or product was proposed, he decreed that the narrative should take the shape of a mock press release. The goal was to get employees to distill a pitch into its purest essence, to start from something the customer might see—the public announcement—and work backward. 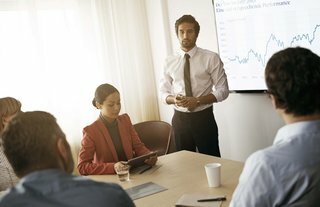 Rather than have employees present their ideas using PowerPoint decks, attendees receive copies of multi-page narratives (as opposed to the one-page format used at Procter & Gamble) and study the ideas before ensuing debate and decision. We try to work backwards from the customer, rather than starting with an idea for a product and trying to bolt customers onto it. While working backwards can be applied to any specific product decision, using this approach is especially important when developing new products or features. STAR technique to answer interview questions. This story-telling format can help narrate direct, meaningful, personalized experiences that best demonstrate your qualifications. In effective communication, less is often more. Brevity can communicate ideas more clearly. 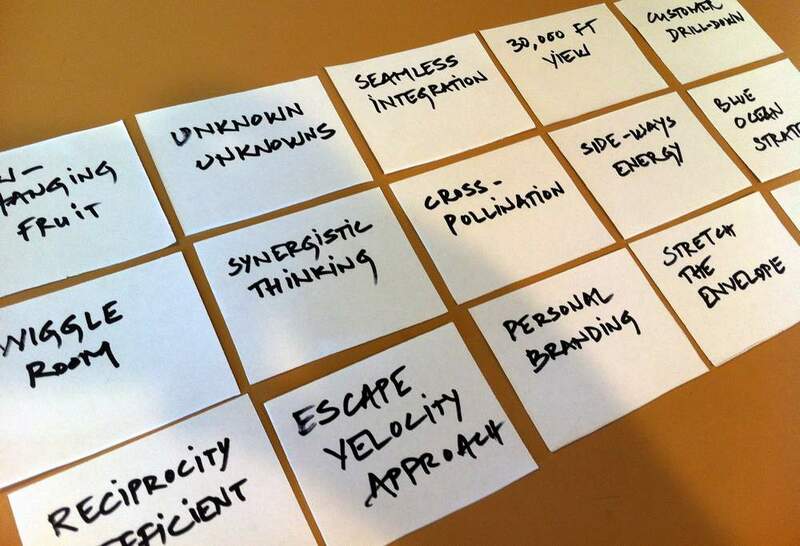 Based on this idea, Procter & Gamble (P&G)’s corporate culture uses a powerful discipline called the ‘One-Page Memo’ for clear and concise communication. Statement of Purpose: An introductory sentence that concisely and succinctly states the reason for the recommendation. Provides a context for the memo as a whole. 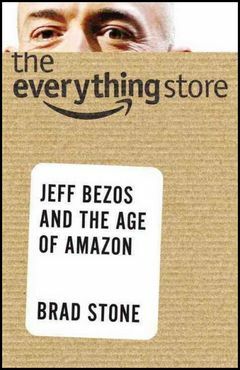 Background: Factual analysis that connects the purpose of the memo to the strategic objectives of the company or the brand. Also provides facts in relation to the problem the recommendation is supposed to address. Recommendation: The specific proposal on how to solve the problem or exploit the opportunity detailed in the background section. Rationale: The reasons for the recommendation, and the logic by which the recommendation was reached. Discussion: Details of the recommendation, anticipated questions or areas of concern, risk assessment, identification of other alternatives, details of the recommendation. Next Steps: Who will be following through on the recommendation, what target dates they would be working towards, what actions they would be taking to execute the recommendation. Supporting Exhibits: Other supplementary information as applicable. The last item, the supporting exhibits, provides additional data to validate the rest of the one-page memo. Additionally, P&G’s renowned salesforce uses a Persuasive Selling Format (PSF) narrative that is structured along similar lines. 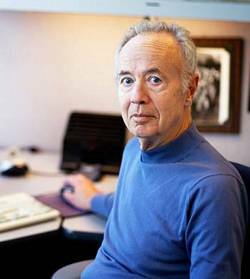 Tufte, an American statistician and academic, is renowned for his work The Visual Display of Quantitative Information, a bestselling text on data, statistics, graphics, visualization, and information. 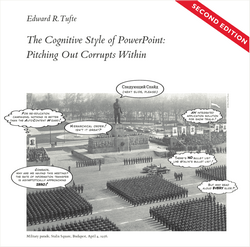 In his cranky pamphlet The Cognitive Style of PowerPoint, Tufte offers a sharp-tongued criticism of presentations as a communication format. He argues that we treat slides more as a medium for self-expression than as a medium to connect with our audiences. His most revealing examples of how presentations corrupt our elegance of expression are his critique of NASA’s slides from the Columbia shuttle disaster and a parody of Abraham Lincoln’s Gettysburg Address condensed into a PowerPoint deck. By forcibly condensing our ideas into bullet point-statements, phrases, and slides, Tufte contends that we break up narrative flow and flatten the information we’re trying to convey. In particular, he claims that presentations’ bullet points can’t signify logical relationships well and thus dilute the audiences’ thought process. The resulting message is watered down, lacks proper emphasis, and doesn’t communicate the context very effectively. Tufte favors well-structured memos that convey ideas comprehensively, clearly, and meaningfully. In agreement, I’ll offer two articles next week about Procter & Gamble and Amazon’s use of these memos as a communication discipline. 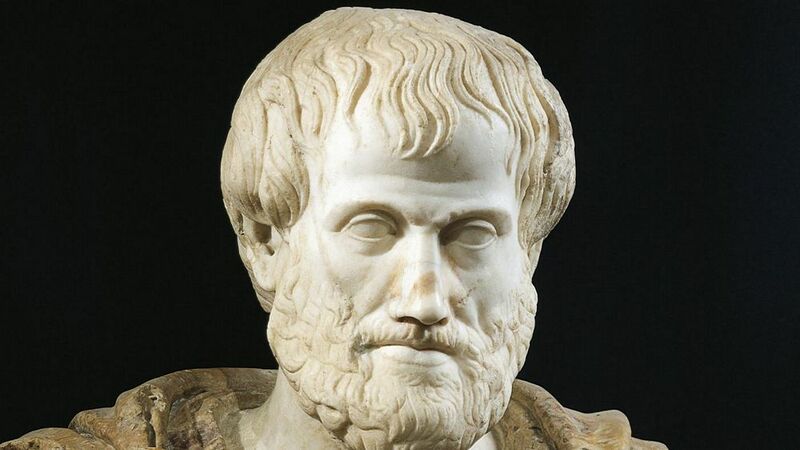 In my previous article, I discussed Aristotle’s framework for persuasion and argumentation: to persuade people on a particular point of view, it is necessary to appeal to ethos (credibility,) pathos (emotion,) and logos (logic and reason.) Some people are swayed by logic, others by appeals to emotion, and yet others defer to those who seem to possess authority, expertise, and credibility. In this article, I give a case study of the “Intel Pentium Integer Bug Disaster” to illustrate that facts (logos) alone sometimes don’t have the power to change minds. Many people are adept at those elements of persuasion that Aristotle characterized as logos: i.e., they are proficient at making their case logically and rationally to their audience. But they may not recognize the need for the pathos aspects of persuasion and may struggle to emotionally connect with their audiences. Intel endured one of the most painful episodes in its history soon after it launched the Pentium processor. It was ridiculed by customers and the media for a flaw in the Pentium chip. Intel’s handling of the crisis was even worse than the bug itself. The Pentium flaw and its aftermath eventually led Intel to undertake large-scale product replacements that resulted in a $475 million write-off on its balance sheet. In June 1994, about a year after Intel launched the Pentium microprocessor with much fanfare and a massive advertising campaign, some Internet newsgroups started discussing a flaw in the Pentium’s floating point unit. This error caused occasional mathematical errors in the chip’s advanced number-crunching component. Intel knew about the problem. Internal investigators had established that the error “caused a rounding error in division once every nine billion times … an average spreadsheet user would run into the problem only once every 27,000 years of spreadsheet use.” Consequently, Intel’s executives concluded that the error was insignificant and didn’t pay much attention. Much to Intel’s astonishment, some trade publications caught wind of the online discussions. In November 1994, CNN aired a nasty report about the Pentium flaw. Other media outlets pounced on Intel; The New York Times published an article titled “Flaw Undermines Accuracy of Pentium Chips.” As a direct result of all the negative publicity, Intel’s customers were up in arms and flooded Intel’s customer service lines with customer complaints. By then, Intel (through IBM, Compaq, HP, Dell, Gateway, and other computer OEMs) had shipped two million Pentium chips. 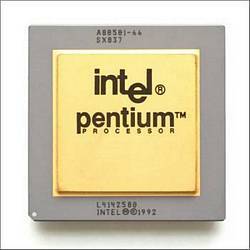 Back then, microprocessors were not yet a commodity product and consumers had paid a premium to buy computers with Pentium chips instead of those with the discounted previous-generation 486 processors. Justifiably, Intel’s customers were enraged and started demanding that Intel send them replacement chips. In response, Intel decided to stick to its guns, because management believed in the persuasive ability of their facts. Intel’s leadership declared that they would not replace the chips unless consumers would individually call and establish that their chips would be used for advanced math calculations. At the company’s toll-free customer service line, customers had to endure a protracted interview process for Intel to deem them worthy of receiving a corrected chip. Customers who couldn’t convince Intel that they may encounter the bug in their daily computer-use didn’t make the cut. Eventually, Intel caved in. 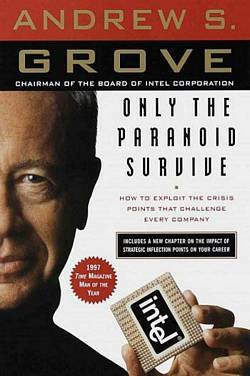 Grove reflected, “After a number of days of struggling against the tide of public opinion, of dealing with the phone calls and the abusive editorials, it became clear that we had to make a major change.” Intel reversed its policy, established a huge customer service operation, and announced that it would replace the Pentium chip for any customer who wanted it replaced. The crisis came to pass only after Intel replaced hundreds of thousands of Pentium chips at a cost of $475 million. The Intel Pentium Bug is a textbook example of how not to handle a delicate situation and hurt a product’s image. A good deal of this mismanagement could be attributed to an engineering-driven corporate culture within Intel, shaped in part by Grove’s attitude that facts alone could—and should—sell. He believed in the no-nonsense way of doing business: all through the crisis, Intel stuck with the facts, refused to bow before pressure, and told customers to get on with the flawed Pentium processor. Fortunately, Intel not only survived the Pentium crisis, but its brand recognition increased and Intel even appeared on Fortune magazine’s list of most admired companies. In the two years prior to the Pentium launch, Intel had embarked on an aggressive marketing campaign to build up the Intel brand. 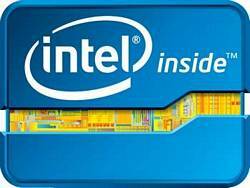 The “Intel Inside” slogan was plastered on billboards in all major markets and TV commercials repeatedly blared the renowned “Intel Inside” jingle. Another upshot of this crisis was that the attention Intel and Pentium received brought microprocessor chips bang into the public consciousness. With the August 1995-release of Microsoft’s Windows 95, the “Wintel” partnership between Microsoft and Intel ushered a wave of consumer demand that brought inexpensive personal computing to the masses around the world. It is fallacious to assume that logic, reason, and facts are all potent and that rationality will triumph over irrationality. During the Pentium crisis, Intel had assumed that an honest appraisal of facts of the Pentium bug would have the strength to change customer’s minds. However, sticking to facts alone backfired. Following Aristotle’s ethos-pathos-logos framework, Intel had logos right: Intel’s assessment that the Pentium errors would not affect most people’s use of their computers was accurate. 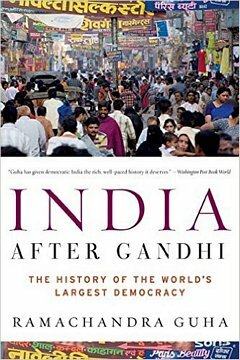 As the CEO of Intel, Grove had ethos right: his engineers were the prevalent authorities on microprocessor technology and Intel was the dominant producer of computer chips. But Intel got pathos wrong: by just presenting facts (logos) with authority (ethos) and ignoring customer sentiment (pathos), Intel’s arrogant stance was not only ineffective but also aggravated the whole Pentium crisis. When persuading others of your ideas, don’t assume that logos alone has the power to change their minds. Don’t arm yourself with just bulletproof facts, scientific evidence, logic, and rationality and expect logos to sway others to your point of view. Recent research suggests that emotion plays a significant role even in situations where logic seems to be the dominant driver of decision-making. During argumentation—i.e. when putting forward a point of view—your goal is to persuade your audience that your thesis is valid, engage them in your favor, change their opinion, and influence them to act as you’d like them to act. The American literary theorist Kenneth Burke wrote in his Rhetoric of Motives, “Wherever there is persuasion, there is rhetoric. And wherever there is meaning, there is persuasion.” Learning to make effective arguments is helpful in every facet of decision-making and sharing ideas with others—not only in verbal and written discourses, but also in marketing, sales promotion, crisis-management, storytelling, courtship, social etiquette, and education. Of the modes of persuasion furnished by the spoken word there are three kinds. 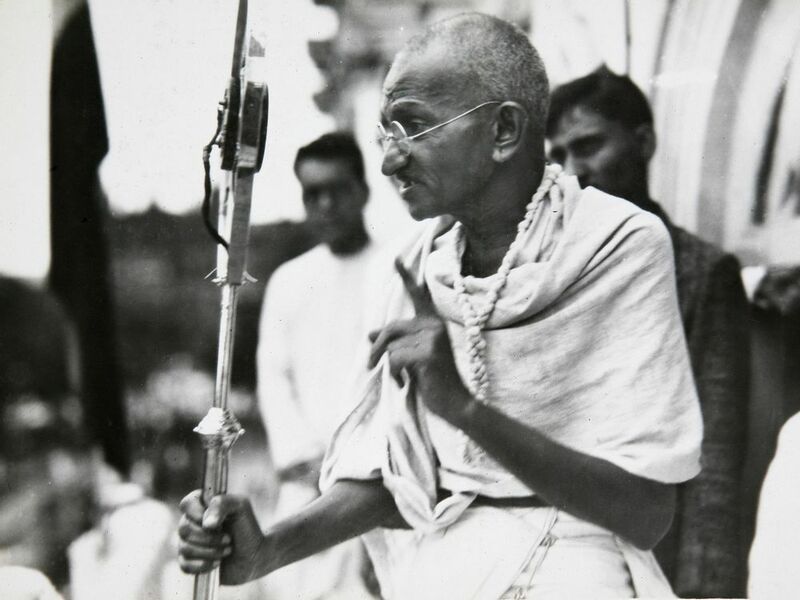 The first kind depends on the personal character of the speaker; the second on putting the audience into a certain frame of mind; the third the proof, or apparent proof, provided by the words of the speech itself … The modes of persuasion are the only true constituents of the art: everything else is merely accessory. There are, then, these three means of effecting persuasion. The man who is to be in command of them must, it is clear, be able (1) to reason logically, (2) to understand human character and goodness in their various forms, and (3) to understand the emotions—that is, to name them and describe them, to know their causes and the way in which they are excited. We believe good men more fully and more readily than others: this is generally true whatever the question is, and absolutely true where exact certainty is impossible and opinions are divided … It is not true, as some writers assume in their treatise on rhetoric, that the personal goodness revealed by the speaker contributes nothing to his power of persuasions; on the contrary, his character may almost be called the most effective means of persuasion he possesses. Your ability to persuade depends on demonstrating that you are a credible authority on a subject. Credibility comes from your academic and professional credentials, social standing, integrity of character, and trustworthiness. Ethos is also about how you express your expertise. 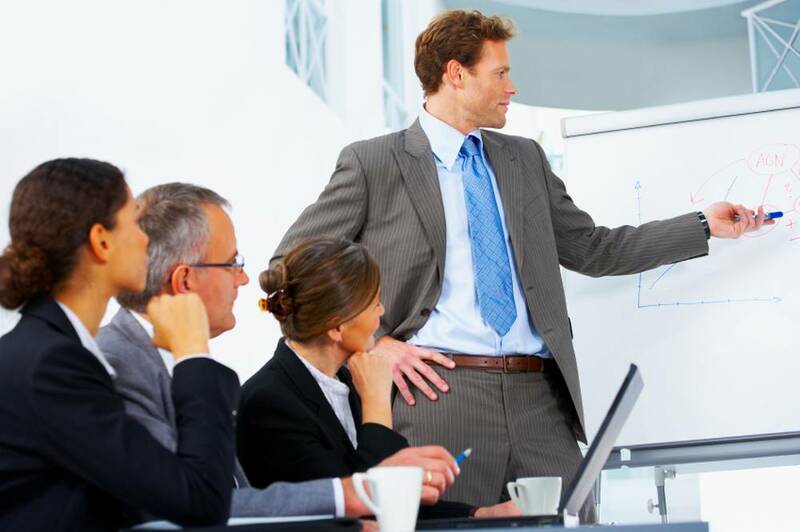 Enhance your ethos by projecting confidence and paying attention to your mannerisms, dress, demeanor, tone, style, posture, body language, and crispness of your message. Appeal to ethos because your audience is likely to be persuaded if they believe you’re likeable and worthy of their respect. If you lack credibility, you must determine how to produce credibility, address your lack of it, or involve somebody credible who can vouch for your ideas. As the saying goes, when the heart pulls, the head tends to follow. Secondly, persuasion may come through the power of the hearers, when the speech stirs their emotions. Our judgments when we are pleased and friendly are not the same as when we are pained and hostile. To appeal to emotion, you must understand and relate to the needs, values, and desires of your audience. Identify and appeal to what motivates the audience to anger and happiness, what irritates them and leads them to fear, what animates them and arouses their empathy. Defense attorneys often use this technique: they try to appeal to a jury or judge’s emotions by invoking sympathy for the accused and swaying them into thinking that the accused has done little or no wrong. Thirdly, persuasion is effected by the speech itself when we have proved a truth or an apparent truth by means of the persuasive arguments suitable to the case in question. Appeal to your audience using logical consistency, analytical reasoning, rationale, and supporting evidence. Don’t just persuade your audience from your vantage point. Instead, construct a viewpoint that can assert your audience’s own objectives and goals. Aristotle mentioned that timing of delivery is a fourth dimension of successful argumentation. Therefore, even if ethos, pathos, and logos are in place, efforts to persuade may fail if they are deployed at the wrong time. You can be more persuasive if you understand what truly moves your audience. Some people are swayed by logic, others by appeals to emotion, and still others quickly defer to those who seem to possess authority and expertise. Aristotle’s ethos, pathos, and logos provide a clear, understandable, and easy-to-apply framework for developing argumentation. Although these three elements can be analyzed separately, they often overlap and work together. Often it may not be possible or useful to completely distinguish them. Round up your persuasive skills by combining Aristotle’s technique with these recommended approaches. Robert Cialdini’s best-selling books, Influence The Psychology of Persuasion and Science and Practice, identify six ways to persuade another person. Watch this and this YouTube videos for excellent summaries of these six principles. Richard Shell and Mario Moussa’s The Art of Woo recommends that people use relationship-based, emotionally intelligent approaches to persuade others of the value of their ideas to “win them over” rather than to “defeat” them. William Ury’s The Power of a Positive No offers a “yes-no-yes” framework to (1) connect a situation, circumstance or dilemma to your core set of interests and values, (2) communicate your decision assertively and respectfully and yet obtain the most positive outcome for you and for others. Roger Fisher, William Ury, and Bruce Patton’s popular book Getting to Yes offers an step-by-step plan of action for coming to mutually satisfactory agreements to conflict.